MONDAY, April 15, 2019 -- The 555 confirmed cases of measles reported in 20 states between Jan. 1 and April 11 this year represent the second highest number of measles cases reported in the United States since measles was eliminated in the nation in 2000, the U.S. Centers for Disease Control and Prevention says. 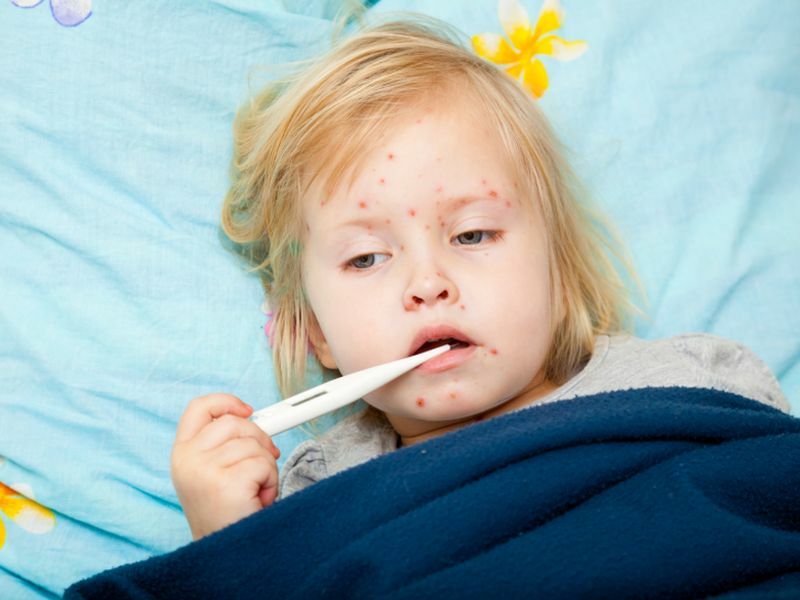 States that have reported measles cases to the CDC are: Arizona, California, Colorado, Connecticut, Florida, Georgia, Illinois, Indiana, Kentucky, Maryland, Massachusetts, Michigan, Missouri, Nevada, New Hampshire, New Jersey, New York, Oregon, Texas, and Washington. Measles outbreaks (three or more cases) are currently ongoing in New York state; Rockland County, New York; New York City; Washington; New Jersey; and California. The outbreaks are linked to travelers who brought measles back from other countries where large measles outbreaks are occurring, including Israel, Ukraine, and the Philippines, the CDC said. The agency emphasized the need for Americans to get vaccinated against measles before they travel to other countries.